Larnaca Airport (LCA) or ‘Larnaka Airport’ is situated just 5 klm (3 miles) outside Larnaca centre itself, making the airport very accessible by road and the A3 motorway from Larnaca and many of the popular tourist resorts close by such as Ayia Napa, Protaras and Limassol. This also makes access to the airport very easy from most other major towns and resorts in Cyprus that are located a little further away from Larnaca such as Nicosia, Paphos and Coral Bay. 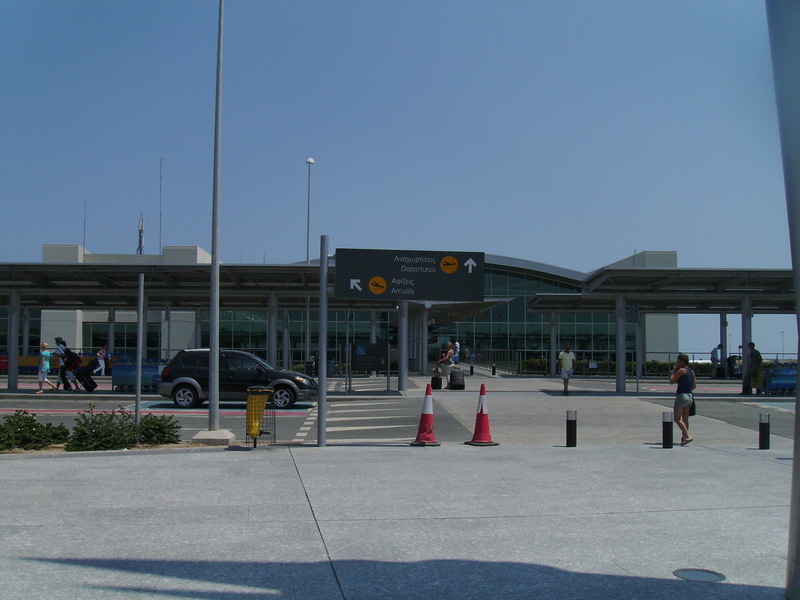 Larnaca International airport is the largest of two airports in Cyprus and had over 5.5 million passengers passing through it last year. 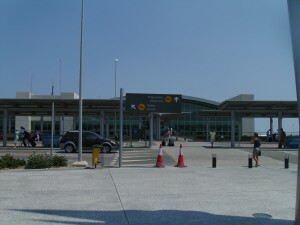 The second airport that services Cyprus is Paphos International Airport (PFO) and Paphos is located on the South Western coast of the island about one and a half hours drive. Larnaca tends to be at it’s busiest during the tourist season, from March through to November. During this period, the airport has a much larger number of flights due to the increased number of tourists visiting Cyprus, the mjority of which are Charter Flights from other European countries such as the UK, Germany, Scandinavia and Russia. If you intend to visit Cyprus throughout the Summer months, you should expect the airport to be busier than at other times in the year and as a result, may experience longer queues and waiting times. However, the airport has been extended so that it can accommodate a higher volume of passenger traffic, due to the growth in tourism to the the island over recent years. The new aiport terminal at Larnaca is now in operation and provides a new modern look and feel to the airport itself. Many other facilities have also been added to the airport such as a new control tower, larger retail area and an increase in check in desks, which now makes the check in process run much quicker and smoothly. To compliment the new airport, major alterations have been made to the road infrastructure that links the airport to the popular resorts and towns on the island. As a result, this makes getting to and from the airport much quicker. The beauty of Cyprus is, the island is not that big so whichever airport you land at, the transfer time to the resorts is not going to be that long. Even if you land at Paphos airport and wish to get to Ayia Napa or Protaras (which are the other end of the island), the transfer time from Paphos to Ayia Napa & Protaras will be under 2 hours. In Cyprus, they drive on the same side of the road as in the UK (on the left). Therefore, if you are normally a little nervous when driving abroad because of driving on the opposite side, you need not worry about that when driving in Cyprus. If you are on a ‘flight only’ and require a transfer to and from Larnaca airport, it is definitely worth looking into hiring a car from the airport. Although the major resorts such as Aiya Napa and Protaras are less than 60klm away from Larnaca airport, it will be quite expensive to get a taxi to the resorts. If there are a few people traveling in your party, it can work out much cheaper to hire a car from the airport and the added bonus is, you will have transport for the duration of your holiday in Cyprus, allowing you to explore more of this beautiful island. There are several major car hire companies that operate from Larnaca and there are a few companies that consistantly offer great deals. We have provided a link to these companies for your convenience and are sure you will find a deal on car hire to suit you needs and budget. Taxis can be found outside the airport and are available 24 hours a day. Prices for the taxi fares can be found on a board in the arrivals area. However, although these prices are displayed in the airport, prices can vary and it is always advisable to ask how much the fare will be before you enter the taxi. Many passengers prefer to pre-book their taxi in advance online. This gives them peice of mind knowing they will have a taxi waiting for them at the airport, will not have to queue for a taxi when they arrive and will have already paid for the taxi in advance, which means they do not have to worry about how much the taxi will cost or worry about paying too much. Buses are the only means of public transport on the island and they can be limited. Cyprus does not have a rail network, so unfortunately there are no direct trains to and from the airport, therefore transfers to and from the airport need to be by bus, car or taxi. There are buses that run from the airport directly into the centre of Larnaca throughout the day and these buses run every hour and are very cheap. The bus numbers are: 19, 22 & 24 (at time of writing). There are several shuttle and coach services that offer transfer to and from Larnaca to most of the major resorts in Cyprus. Most of them are reasonably priced, especially if there are a group of you traveling where the cost can be divided. We have provided a link to a page where you can get instant quotes from several companies that offer the best deals on shuttle transfers to and from the airport. Many airlines now service Larnaca Airport and offer flights to and from the airport to from a large number of countries around the world. Over the last couple of years several of the low cost airlines have now started flying into both Larnaca and pafos Airport which means there are now some quite reasonably cheap flights to Cyprus available throughout the year. The Airport offers 1000 car parking spaces and hese are both for short term and long term parking. The first 20 minutes in all these spaces is FREE but after 20 minutes, you will be charged according to your duration. On entering the car park at the airport, you will be issued with a ticket at the barrier. You will need to take your ticket with you and then insert it into the ticket machine when returning to your vehicle. There is a drop off and pick up area outside the arrivals area at Larnaca which allows you 5 minutes. Anyone that exceeds this time limit or leaves their vehicle, could have their vehicle towed away and impounded. The cost will be 85 euros (at the time of writing) to recover your vehicle and 10 euros for each day it is impounded. There are no hotels actually onsite or situated next to Larnaca airport itself. However, with Larnaca centre being only 5 Klms away from Larnaca airport, it is very easy to find suitable accommodation close by. Larnaca has plenty of hotels to suit all budgets and requirements from beach front hotels to town centre accommodation. Staying at one of the hotels in Larnaca provides the ideal solutions for those early morning flights or for passengers that are landing late evening. Using the links below, you will be able to check all the latest arrivals and departures from Larnaca. Information is updated constantly so you are kept informed on any changes to scheduling. Simply click on the relevant link. Copyright © 2019 Larnaca Airport. Powered by WordPress. Theme: Spacious by ThemeGrill.